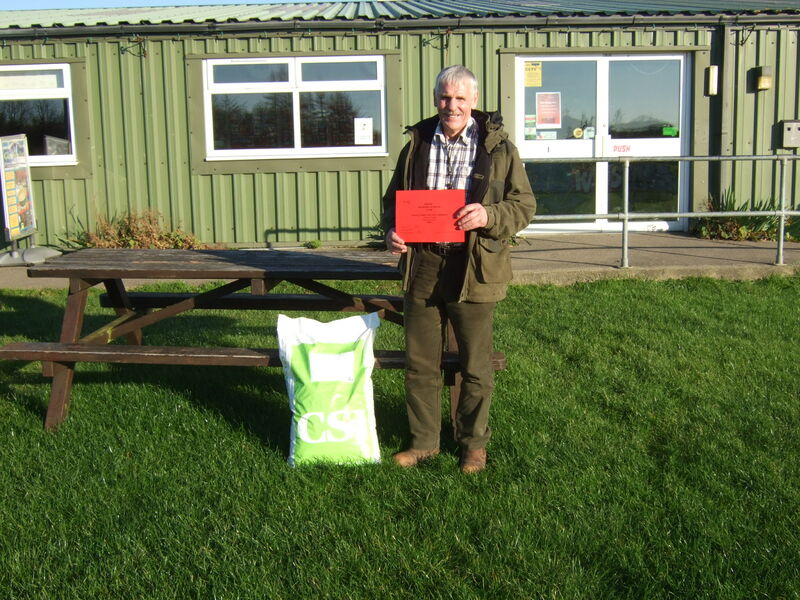 The Arfon Working Gundog Club held a 16 dog AV Novice Spaniel stake at Glasfryn Estate, Nr Pwllheli, Gwynedd on the 18th November 2014 by kind permission of Mr Gwilym Jones. The judges were Mr Adrian Slater and Mr Noel Parry. With a steady supply of game flushed by the dogs and good shooting by the guns and the sun shining we had a very successful day. 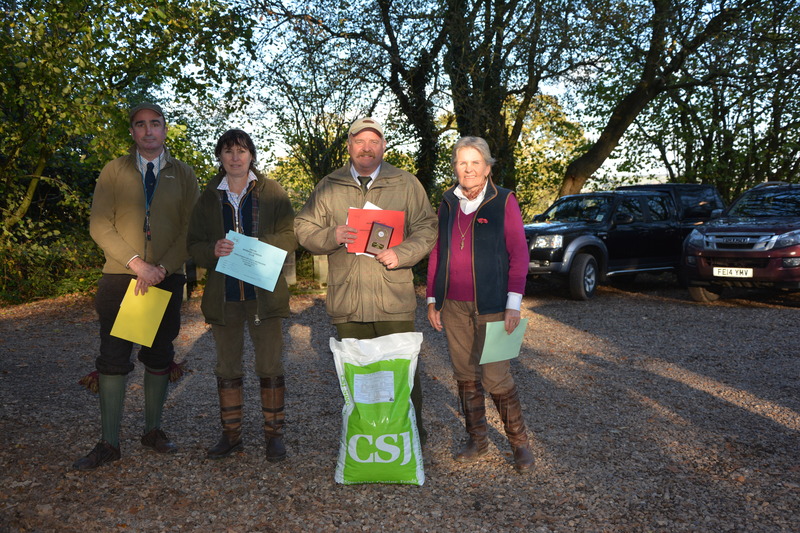 We would like to thank our host, the judges, the guns, the helpers and the competitors and our sponsors CSJ Specialist Canine Feeds and Gary McCarthy of Gundog Gear. Congratulations to the award winners and to all the competitors. 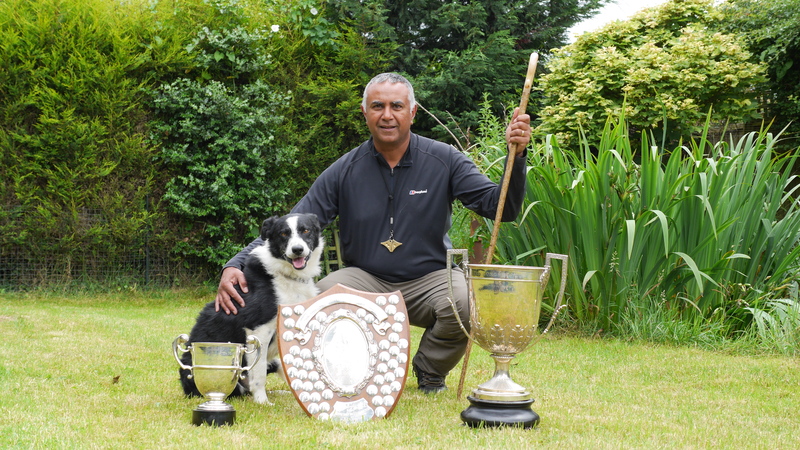 Look out for a new dvd on sheepdog training by Nij Vyas – coming soon! In 2009 I was persuaded by a friend of mine to write a book on sheepdog training because he felt that the methods and style I was using to train him were somewhat different to that which he had encountered before. Being a published writer himself he offered to write the book for me and I agreed. By the time I returned home some 20 minutes later I had planned out some of the book, whilst driving and reached the conclusion that it would be impossible for me to describe to Doug that which was in my mind and for him to accurately reflect this. My father too had been a prolific writer and I had dabbled in poetry and song writing. I decided to write the book myself. I wanted the book to be an honest account of my experience and also to capture what influenced some well known and respected handlers. I heard Ceri’s father Glyn mention many a time that: “you can kick a quad bike, but talk to a Border Collie” – and this struck a chord with me. I wanted to share the many tips and bits of advice they had kindly shared with me as well as talk about elements and concepts I had discovered along the way, through working with my own dogs and also my work with other breeds. Four years later the book has sold well and last Christmas was reprinted by Crowood Press and it continues to sell well, in both Hardback format and E-books. Many people have contacted me, having purchased the book and asked if I had a DVD and so it seemed to be a natural progression that I should make this my next project. People learn so much better through visual means and it gave me a chance to chart the progress of two young dogs from start to useful farm dogs, and then hopefully they will become my future trial dogs. I have a reputation for selecting my dogs in a very calculated and methodical manner and sticking with them through thick and thin, simply because I could not afford to spend the sort of money some people do on dogs. I am also more tolerant and forgiving of my own mistakes. Success is paramount to me but not failing my dogs is more so paramount and I would like to think that by persevering with quite challenging dogs has enabled me to share my knowledge with the many clients I have in the UK and abroad and to give them hope when they too have struggled to teach aspects of training. It is hoped that the DVD will now be available in the new year as having been to three different countries, judging and running clinics, in recent weeks, time has not been devoted to the project quite as I would have liked. The Arfon Working Gundog Club held a 12 Dog One Day Open Stake for A V Retrievers at the Checkley Wood Shoot on the 5th November by kind permission of Mr Ivor Beavis. The judges were Mr John Drury, Mr Mike Newsom, Mrs Glenys Caldwell and Mr Tim Brain. The weather was bright and sunny and with a steady supply of game the trial progressed well and by the lunch break the dogs had been whittled down to four. In this week Erik is going to the Nordic Nursery with Toby. Toby is our own breed. He is out of Cheviot Meg and Billie, Billie is out of Joe and Snip and again in Snip you find Erik’s old Moss. And next year Erik & Toby are going to The Nursery at Serge’s place. At the weekend Erik participates in a big trial in DenmarK, Storå Lambs Cup, in Holstebro, about an hour from our place. This trial has a very high level and is very difficult. People are coming from Sweden, Norway and also some from Finland I think. I have just pre-entered Erik for the Pre-Continental next year. He is going to run Roy and Shep (Shep which he got 4th at CSC this year). Shirley Cropper came by some weeks ago. She was judging an Open Class at our place and had a clinic the day after. We really, really enjoyed her stay.